IBM Bangis is back with yet another instalment of his spoken words videos. He went out the spotlight after releasing ‘Better Tomorrow’, a project which focused on giving hope to the hopeless. This new video is titled ‘LITTLE ONES’ and it stems around the poor upbringing of children mostly practised in this part of the world and how parent should try their possible best to see they keep up their appearances when it comes to the growth of their child. This project is totally different from his previous ones because he diverted the core theme from his usual business motivation to the most common problem been faced in most families. He was quoted saying ‘I want to change the world in whatever little way I can and right now the only way I see fit is to address the issue of wrong upbringing of children around the world’. This project will blow your mind as he was reported to have taken his time and done a good research before penning his words down. Here is the lyrics and after which the video will follow. I once heard a quote like ‘in every adult there dwells the child that was and every child lies the adult that would be’ John Connolly. Every kid is a potential adult with time and every adult was once a kid. Parenting, the toughest and most fulfilling jobs in the world gives parent a room to exert enormous influences over the development of their child. 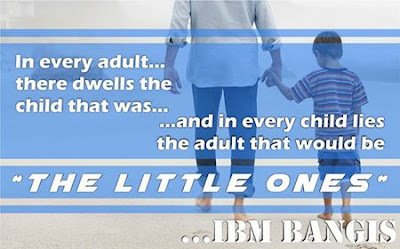 But in the course of exercising their responsibility most adult forget that there were once small before, stupidly childish and mistakenly driven like most kids are today, you forget that you worked in our shoes and went through the same process we are going through right now. You establish rules and expect us to follow without exception and in a case where one challenges the rule, you hear the same old phrase ‘because I said so’ not given the reasons behind the rules and no room for negotiation. This is the 21st century, with the advent of information on our finger tips just clicks away, no one is a kid anymore. Am not trying to tell you how you should groom your kids because I feel it’s not my place, different people have different ways of raising their children but all am saying is talk to your little ones, understand them and know what their dreams are and ask them what you can do to help achieve them. It is very important to be able to communicate effectively with your children because this will foster a good relationship and build a firm ground for respect and understanding. You should begin setting the stage for open and effective communication while your children are young, make yourself available when they have questions or just want to talk, listen to their problems, and listen to understand them, not listening to find fault in them. Take it or leave it, your children are your biggest assets and you have a bigger responsibility than just providing for our basic needs, we need to know at all cases that you at least understand where we are coming from, because am sure there was a time when you had the same thought like us, confused about life and not knowing the next step to take. For parent who thinks their kids are embarrassment to them just because of their behaviours especially on outings, you compare them to your friend’s kids whose behaviours are intact, well do you know how many hours they spent with their kids teaching them how to behave when guest are around, I guess you don’t cause you don’t have time for that. I know a girl who went for a birthday party with her parent and when asked to speak on stage about the celebrant couldn’t because she was shy and quite but her friend went on stage and killed it, after the party her parent called her names cause she couldn’t be like the other girl. The question is did you do the same things the other girls parent did to get her prepared, I guess not. For those whose boys spend the whole evening playing football and comes back all dirty and sweaty and you shout at them because they shouldn’t have been outside in the first place. Well do you know they are people who get paid millions to do the same?, oh wait a minute, am sure you do because every day after work all you do is watch sport centres and admire how amazing those players lives are. Could it be that you never thought your kid had the potential or are you so naïve to think those players are born with the skills of football? I know a boy who is so passionate about a business he had started but always complains of how unsupportive his parents are, always stressing on the need for him to get a job just because he isn’t a millionaire at the moment. What about parent who force their children to major in a particular course in school just because their neighbour who is practicing that profession just bought a new car and is well to do. Are you forgetting that this is the 21st century and things change so fast? What guarantee can you give that the course you are making him/her study will still be useful tomorrow? Every single day I read about how companies are sacking people who when in school studied what was trending but now technology is rendering them obsolete. I have a friend that is sick to his stomach because his parent are always emphasizing on the need for him to get a job and work for someone but whenever in financial difficulties, they themselves always stresses of how good of a life Bill Gates is living. What about those parent who constantly cry for educated kids but they themselves aim for a life the dropout are living? I know a boy whose parent bought an X-Box 360 for getting A in all his papers in school but later seized the game because according to them he spends too much time on it, well do you know they are many kids out there who are making millions from doing the same?, that are creating up and coming industries that are related to game. This is the information age and 50% of ways use to make money in the former age are long gone, another 50% is been created by the day from industries like games and the internet at large. Don’t get me wrong am not one to mislead, this should not be a reason for kids out there to go against their parent because 90% of the time our parents are right and do these things out of love without knowing they are actually limiting us. We know it’s not easy for parent when it comes to raising children, especially with outside influences distracting and complicating your efforts, thus making it hard for you to be all that you want to be for your child. But whatever the challenges are; learning as much as you can about your children will make your journey through the years easier because your children need people who can connect with them, communicate with them, spend time with them and show genuine interest in them. This is the 21st century and no matter how much you want to believe it or not, no one is a kid anymore, with advent of information just clicks away, most kids know more than you think they do. So there you have it, hope you enjoyed it and we are looking forward to his upcoming project which he hinted us will be dropping the soonest.